Unlock your free Scan Now. Duplicate listings and inaccurate information about your business has happened and could still be happening. Take control of the health of your business by Scanning your business for free to see what information about your business is out there. Then get to work quick fixing the inaccuracies. The 6x international award-winning Meli team at Meli Marketing™ are certified professionals who focus their creative talents to strengthen their clients’ brand & digital exposure while focusing & creatively capturing quality buyers in a tight-nitch digital space. Meli Marketing is 100% in-house full-stack agency delivering Brand Awareness, Award-Winning Creative & Strategies, Local search, PR, Influencer Marketing & Events, Award-Winning Social Media Marketing & Ad Promotion, SEO, Content Marketing, and other Inbound Marketing Strategies to achieve our clients' goals. Our long-term relationships with our clients show our measure of success.  Forbes Agency Council is an invitation-only organization for senior-level executives in successful public relations, media strategy, creative and advertising agencies with a minimum generated revenue of $1M. The Muse Creative Awards celebrate excellence in the craft and art of communications. We honor the designers, marketers, artists, writers, photographers, videographers and digital experts whose messaging transcends borders and cultural differences. 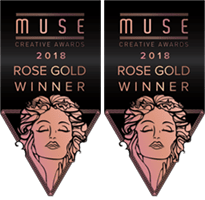 MeliMarketing has won two Rose Gold Awards. 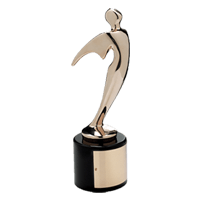 MeliMarketing is proud to be recognized as a Winner in the 13th Annual Davey Awards for excellence in integrated campaign advertising in the non-profit category. The Davey Awards is an international creative award focused exclusively on honoring outstanding creative work from the best small agencies worldwide. Our campaign delivered new customers and helped spur new interest about the organization in the local community. We are humbled by this recognition and motivated, even more, to deliver results to our client family. Stay Tuned for many exciting things to come in 2018! Meli from MeliMarketing was interviewed on the Texas Business Radio Network about her expertise in digital marketing. Meli spoke at length about the future of online marketing and where businesses should be in 2018. 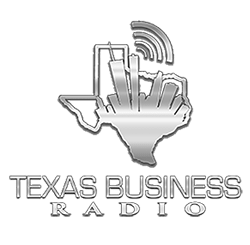 Texas Business Radio is a middle market business-focused news and information radio show discussing best practices, economics, and responsible entrepreneurship. Because of Meli’s extensive career in advertising and digital marketing, Texas Business radio knew she was perfect to interview and give advice and tips to the listeners. Meli Jean joined Forbes Business Council, an invitation-only organization for senior-level executives in successful public relations, media strategy, creative and advertising agencies. Our company takes the time to research our clients goals, we use audits, competitor analysis, brand analysis, buyer personas, we dive into the demographics, psychographics, and much more. We focus on the keywords that your buyer personas are searching for. Let our trained and certified professionals help you create your online masterpiece, increase traffic, and bring in more new clients than ever before through our online analytic capabilities. As a Google Partner we have many options to help expose your image online. Even better, we have the talent to measure, track, record, and reposition our strategies in a quickly changing algorithm against your competitors. We do what we love. We are a team of designers, strategists, analytical thinkers, and developers with a passion for the art of understanding people. We create experiences people love. There is more to a website than mirroring a company’s identity: A website must be fully functional and optimized for inbound marketing. Call us today for a free website analysis and consultation. We don’t just create brands. We design an image, an ideal, an experience, that customers make a part of their life. Understanding your customers’ needs, wants, and the marketing trend that separates your business from all the others is essential. Out of the thousands of ways to deliver a brand experience we deliver the one that makes you stand out. Think it, create it, and make it that something extra to bring in loyal customers. Customer experience is shaped by every product, service, and message you offer. Integrating your purpose and message with the consumer’s desires, we create powerful graphics that attract and keep new customers. In a world dominated by the internet, methods of advertising like billboards, radio, and commercials have taken the backseat to inbound marketing. Our tactics include workflow optimization, tracking, analytics, reporting, SEO, social media, email marketing, segmentation, and a dozen other activities that squeeze every ounce of usefulness out of your marketing automation system. At Meli Marketing, we provide a different way to market. Our promise to you is that we will craft engaging and converting content. We will distribute that content to produce optimal leads. We will manage all lead and prospect nurturing. And finally, but most importantly, we will help you generate more revenues while costing you less money. Ultimately, you decide what marketing practices are going to work for your business. Branding is the most crucial part of a company’s identity. Your image is not just a logo. At Meli Marketing, we create a whole company’s identity that consists of logos, color palettes, fonts, products, and marketing concepts that envelope the complete concept of your image. Create a brand that shows more than a company, let it show an ideal and a lifestyle with Meli Marketing. Online Branding Branding is the most crucial part of a company’s identity. Your image is not just a logo. At Meli Marketing, we create a whole company’s identity that consists of logos, color palettes, fonts, products, and marketing concepts that envelope the complete concept of your image. Create a brand that shows more than a company, let it show an ideal and a lifestyle with Meli Marketing. Leveraging the expansive reach of search engines can be the most powerful lead generation tool your business can harness. Meli Marketing is experienced and certified with Google AdWords, Bing Ads, and both search engines have the ability to be your number one referral source. Tried, tested, and guaranteed results. Maximize ROI on advertising through PPC management now. Your website is just as important as your business card. They used to be an added feature but now they are a must. A functional, fast, optimized website is the nucleus of a company’s identity, stretching out to all of your online advertising avenues. Improve your site’s relationship with search engines and users alike with Meli Marketing. Meli Marketing drives organic traffic to our client’s websites to gain leads at the top of the marketing funnel. We do this through blogging, onsite optimization, Search Engine Optimization audits, and occasionally PR or third party blogging. When prospects enter this stage of the funnel our goal is to increase awareness, educate and inform prospects, and to stay at the top of the mind for potential clients. The Customer Journey At Meli Marketing, we start with identifying the questions a customer (or buyer) might be asking at different stages of their journey. We use these stages to help categorize keywords by the stages of your customer’s buyer journey. Buyer Persona Guide We try to be as specific as possible with the information we include in a Buyer Persona. We dive into the demographics, psychographics, and more. In order to ensure the best results in terms of conversion rates, click rates, and cost per lead, we recommend targeting specific pain points and value propositions that your target audience experiences. In order to ensure the best results in terms of conversion rates, click rates, and cost per lead, we recommend targeting specific pain points and value propositions that your target audience experiences. One of the most important pieces of inbound marketing is creating quality content catered towards what your buyer persona is searching for. We ensure your content is optimized and deployed properly in order to accelerate your keywords to the top of search result pages. After the leads have downloaded or viewed the content and shared with us their information, we will then nurture them with PR campaigns. After the leads have downloaded or viewed the content and shared with us their information, we will then nurture them with drip email campaigns. These emails will encourage them to download or view more information about your business and its value proposition. Remarketing is specifically targeting customers who have shown an interest in your company at one point or another. Remarketing is specifically targeting customers who have shown an interest in your company at one point or another. This interest could have been shown through email, a website visit, or a social media visit. Regardless of how they found you, we can retarget them and ensure that they hear your message over and over again. This will be a critical part of moving customers from the top and middle of the funnel down to the bottom of the funnel. We ensure that you have a strong remarketing message on Twitter, Facebook, and Google AdWords. Going hand in hand with custom content is social media. By leveraging social promotion and social engagement, we’re able to target specific audiences and push a content message towards them. Going hand in hand with custom content is social media. By leveraging social promotion and social engagement, we’re able to target specific audiences and push a content message towards them. Meli Marketing will create and optimize your content, then utilize your social media presence to get that message to your buyer persona’s. We use organic and paid social media techniques to ensure that your content drives demand and generates leads. By advertising on social media sites, you’re able to target your customers based on age, gender, likes, and much more. We focus on helping small to large size companies that need to generate qualified leads. We do this by using a holistic digital marketing approach. We don’t believe that Search Engine Optimization, PPC, Social Media or Content Marketing is the silver bullet. Nor do we believe that they can work in a vacuum. We utilize all of these mediums to produce the best results for our clients. other activities that squeeze every ounce of usefulness out of your marketing automation system. rest of your life wondering? Schedule a chat with Meli, #DigitalQueen.